Our website is respectfully dedicated to the principles of the Dr Kale system of Natural Healing and aims to promote the wonderful ©Omni Healing™ systems founded by Dr Sameer Kale who was born in India. 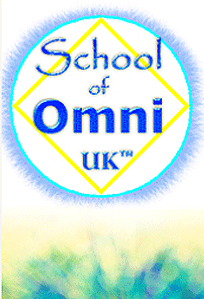 Omni Healing is now part of the work of the ©School of Omni UK™ which is based at Malindi Natural Healing and Teaching Centre near Carmarthen in beautiful West Wales. This is also the home of the UK Omni Association. Omni Healing is a unique form of energy healing, having integral positive protective energies for both the channeller and the person being channelled to, which is vital to today’s new challenges to us and to the earth. It aids positive reaction to well-being and good health, encouraging a tolerant, drug free, non-toxic society. Omni Healing can be the beginning of an awesome future where self-empowerment, love of self, spiritual growth, aiding the well-being and good health of others, joy of life, a true awareness of being one with mankind and the Universe becomes the norm. Energy flows beyond time and space and Omni Healing has no connection with caste, creed, and religion, or the mental, psychological, emotional status of the healer or healee. 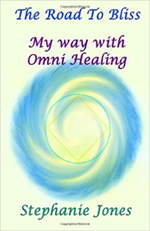 OMNI is evolved energy for a new age of healers and healing: continuing to learn and evolve: joining together in the desire for harmony - for the greater good of all people everywhere. We believe that ©Omni Healing is a way of life and in this website we include a collection of Omni therapies which are efficient tools for Healing, Meditation, and Massage, working with Crystals and giving unlimited protection against negativities. Come inside and find out more. Omni means 'Universe' and, in Love, Light and Truth, it is taking healing to the next level - helping us to move forward positively into the New Age of Awareness.